Yokohama Bay Sheraton Hotel and Towers is holding a Canada fair at two of the hotel’s restaurants, Bay View and Sagami, until July 31. One lucky individual will also win an Air Canada direct round-trip ticket between Tokyo and Montreal. In addition, the first 100 guests who have dinner during the fair can win Canada-themed merchandise such as pins, tote bags and pens. Bay View features two course meals, the first being Elegance Lunch with a lavish spread of Canadian salmon, lobster, a variety of shellfish, beef and bacon from Canada. For the dinner crowd, Gift from Canada is a French course that includes fish, meat, vegetables, fruits or condiments such as maple syrup. Elegance Lunch is ¥4,400 on weekdays and ¥4,900 on weekends. There are two course options for Gift from Canada, one priced at ¥8,800 and the expanded version at ¥13,200. At teppanyaki (iron grill cooking) restaurant Sagami, carefully selected ingredients of the finest quality make for a perfect meal, including Maezawa beef from Iwate Prefecture and Canadian ingredients such as salmon, lobster and maple syrup (¥20,000, excluding a 10 percent service charge). The Bay View’s Canada Fair menus are available for lunch from 11:30 a.m. to 2:30 p.m. (last order), and from 5:30 p.m. to 8 p.m. (last order) for dinner. The dinner course at Sagami is offered from 5:30 p.m. to 9 p.m. (last order) on weekdays and from 5:30 p.m. to 8 p.m. (last order) on weekends. Yokohama Bay Sheraton Hotel and Towers is one minute from Yokohama Station. For more information or reservations, visit yokohamabay-sheraton.co.jp or call 045-411-1111. 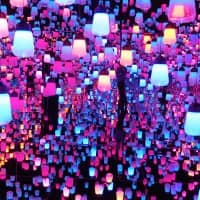 The Shangri-La Hotel, Tokyo is holding a bonsai exhibition, dubbed Feel Bonsai, under an exclusive partnership with Seikouen, a prestigious Japanese bonsai house. The exhibition will be held from July 31 until Aug. 4 at the hotel’s lobby, the Crystal Gallery on the 27th floor and The Lobby Lounge on the 28th floor. The celebration of Feel Bonsai combines an extraordinary collection of bonsai inspired by Shangri-La, with a Botanical Afternoon Tea served at the Lobby Lounge. The karesansui rock garden’s meticulous composition of rocks, moss and trees, reflects Yamada’s interpretation of the world of Shangri-La through Japanese white pine, a symbol of longevity, Japanese black pine, maple and willow. 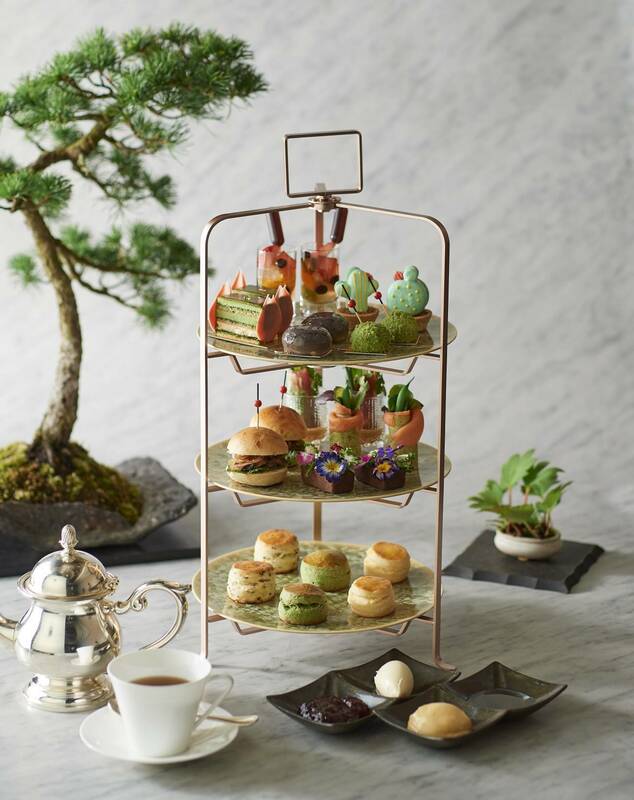 The Botanical Afternoon Tea (¥6,000), created by executive pastry chef Naoya Okamura, includes green tea opera cake, moss-themed cheesecake, cactus-shaped macarons, as well as a tuna and green papaya summer roll, all channeling bonsai and other flora. Tea is served from 2:30 p.m. until 5:30 p.m. on weekdays, and from 1 p.m. to 5:30 p.m. on Saturdays, Sundays and holidays. The Shangri-La Hotel, Tokyo, is two minutes from Tokyo Station’s Nihonbashi Exit. For more information and reservations, visit www.shangri-la.com or call 03-6739-7888. 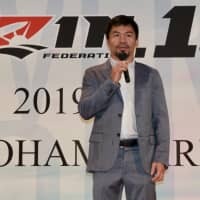 On June 1, the Tokyo Dome Hotel celebrated its 18th anniversary. To thank guests for their longtime patronage, the hotel is offering a variety of exclusive packages through July 24. 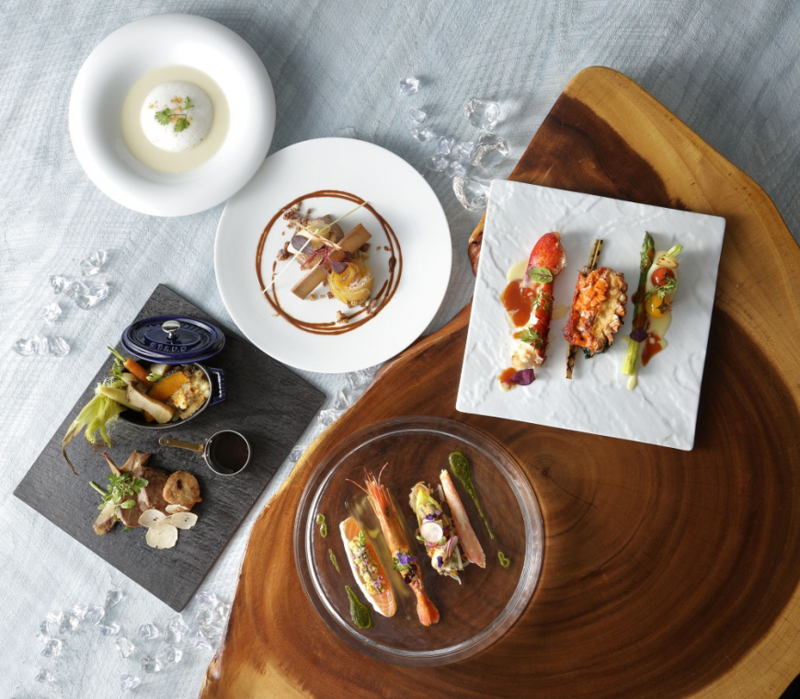 Anniversary packages include a limited course supervised by executive chef Akio Kamata, celebration menus created by chefs of each restaurant and anniversary cakes sure to be popular among longtime visitors. A value accommodation package is also available for guests who have an eight in their age, name or birthday. The Anniversary W Fair at Rilassa buffet, all-you-can-eat for 120 minutes with free-flowing soft drinks, is the creation by chefs Hidetoshi Nogami and Ryusuke Inai themed after the cuisine of several countries. 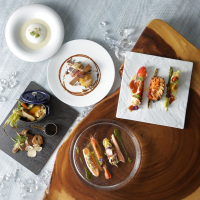 French and Italian cuisine by Nogami, as well as Singaporean and Taiwanese cuisine by Inai can be enjoyed in over 50 items on the buffet. 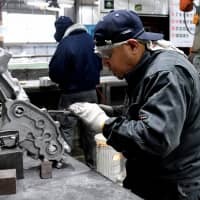 The fee is ¥4,320 for adults, ¥1,620 for children and ¥3,780 for those 65 and older. Between 5 p.m. and 9:30 p.m., adults and senior guests can order the foie gras don (rice bowl), which is supervised by executive chef Kamata, as an option for an additional price of only ¥18. 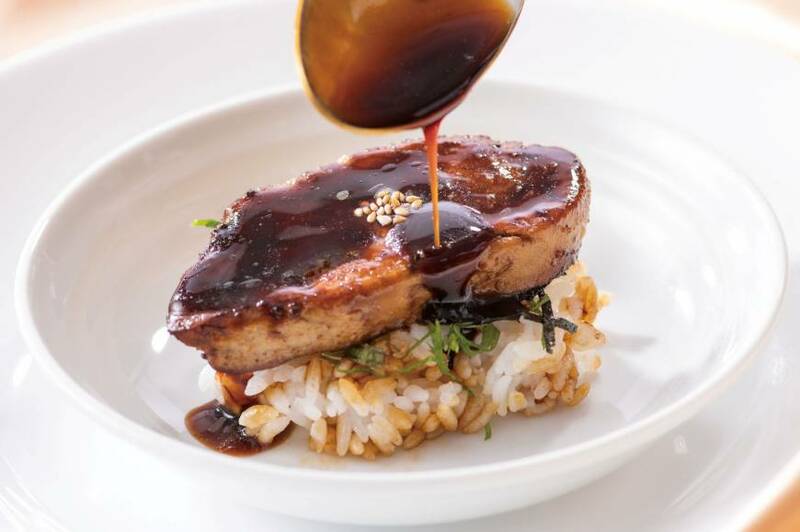 The foie gras don is limited to one bowl per person and sales will be donated to social welfare corporations. The Tokyo Dome Hotel is two minutes from Suidobashi Station. For more information or reservations, visit www.tokyodome-hotels.co.jp or call 03-5805-2111.